We are delighted to be celebrating 30 years of our most iconic trip boat – The Vintage Broadsman which was launched on Spring Bank Holiday 1988 and has delighted hundreds of thousands of passengers over the years. 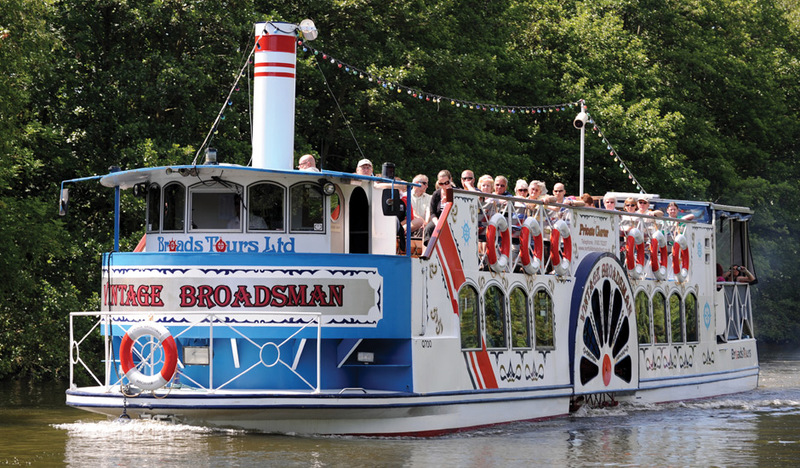 Director Barbara Greasley said: “The Vintage Broadsman is everyone’s favourite trip boat and one of the most photographed boats on the Broads. As the Vintage Broadsman turns 30 we chart the history of a very special boat. 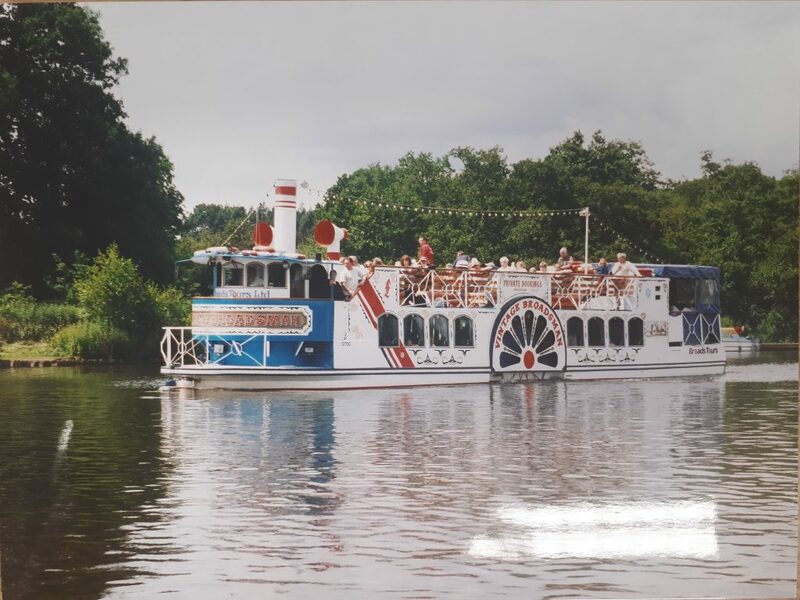 The Vintage Broadsman (and the Cordon Rouge trip boat that we fitted out a year earlier) were a revolutionary new concept for Broads Tours in the late 1980s – replacing the traditional single decker boats of old with a more spacious double-decker experience to really entertain on. The Vintage Broadsman was commissioned by the previous owners of Broads Tours, Len and Hazel Funnell, and designed and fitted from a steel hull by our engineers and boat builders in the winter of 1987/88. This was a challenging but exciting time at Broads Tours – which many of our long-standing members of staff remember fondly today. From the outset taking delivery of the steel hull for the Vintage Broadsman in December 1987 was quite an adventure. 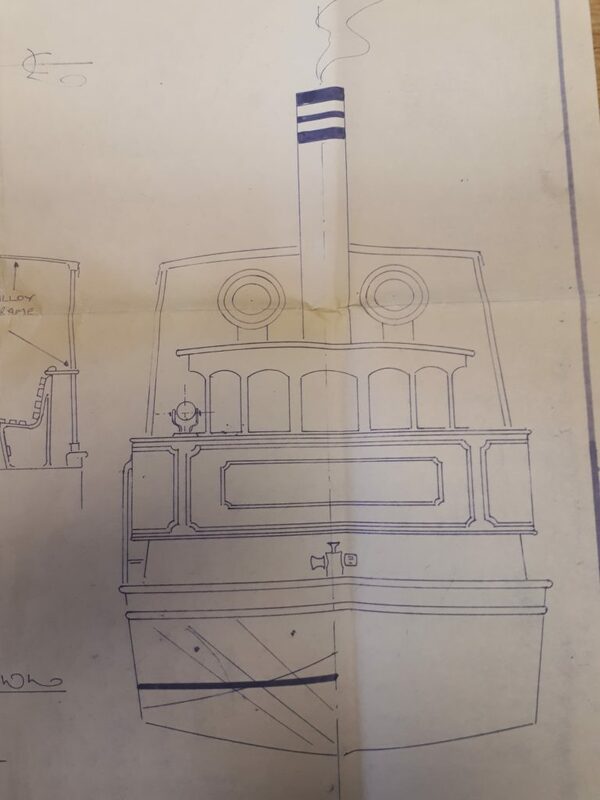 “The hull of the Vintage Broadsman was delivered by lorry from Wakefield and craned in at the docks at Great Yarmouth because there was nowhere closer to Wroxham that was strong enough to take its weight at that time,” explained our Fleet Manager Pat Tubby. “The boat was craned in on a Sunday and had to be left overnight on the visiting boat’s moorings. 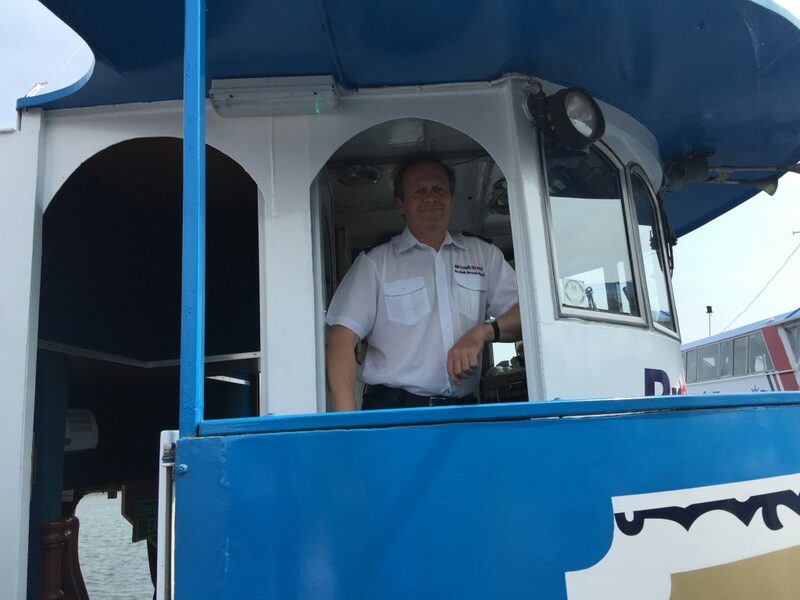 The problem was that the Port Authority wouldn’t allow visiting boats to be left unattended overnight on the moorings, so two of our staff had to sit in a van on the quay by the hull all night long,” he continued. “The following morning the hull was towed up through Great Yarmouth Yacht Station by two tugboats to Acle Bridge. The hulls were then towed from Acle to to one of Broads Tours’ old premises on Church Road, in Wroxham on the Tuesday,” Pat explained. At that time none of our boatsheds were big enough to fit the Vintage Broadsman inside them, therefore the Broadsman had to be fitted out on the water, meaning that our team of engineers and boatbuilders had to brave a very cold winter outside. 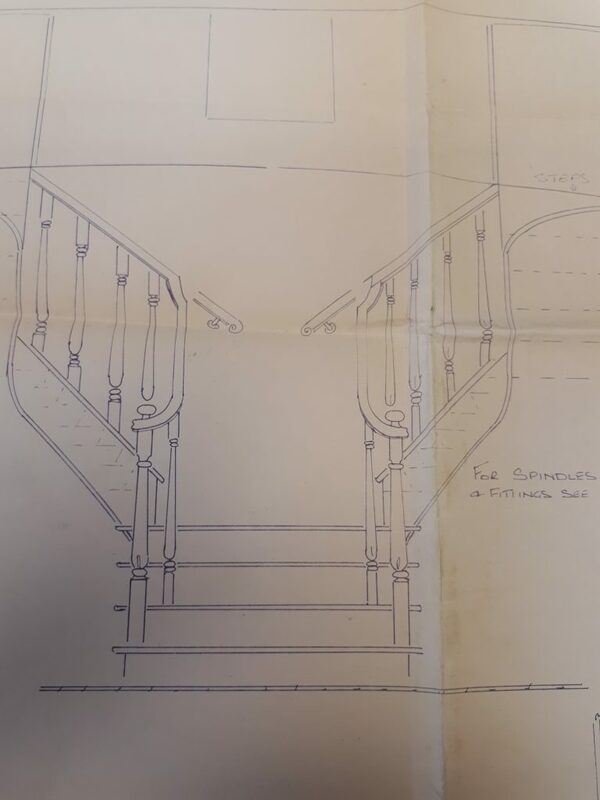 “The weather that year was so bad that we had to put tilts over the top of the steel hull of the Vintage Broadsman to stop the snow from getting in,” explained one of our longest serving engineers, Steve Andrews. Steve said that despite the weather, he enjoyed helping to build the Vintage Broadsman. “The project was led by our head engineer Mick. It was something a bit different to working on a hire cruiser and made you think a lot more because of the size of the boat. It was particularly interesting installing the cable throttle and gears on such a long boat because they had to run all the way from the wheelhouse to the stern of the boat,” he said. But much of the work was also a laborious task, “I can remember spending a lot of time drilling holes through the metal work to take the woodwork to attach the ceiling. That was pretty hard work, particularly in the freezing conditions,” he said. 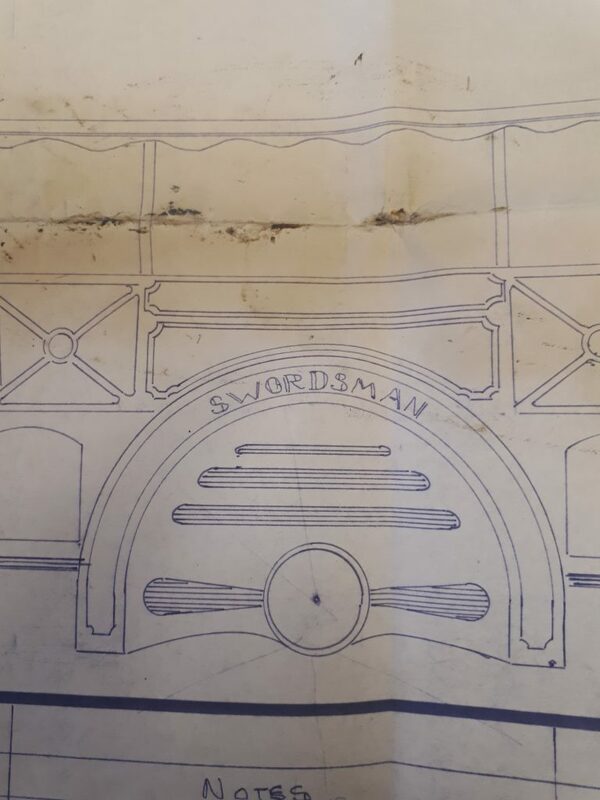 We still have the original copy of The Vintage Broadsman’s plans and, if you look carefully at the picture below, she seems to have been named the Swordsman rather than the Vintage Broadsman! 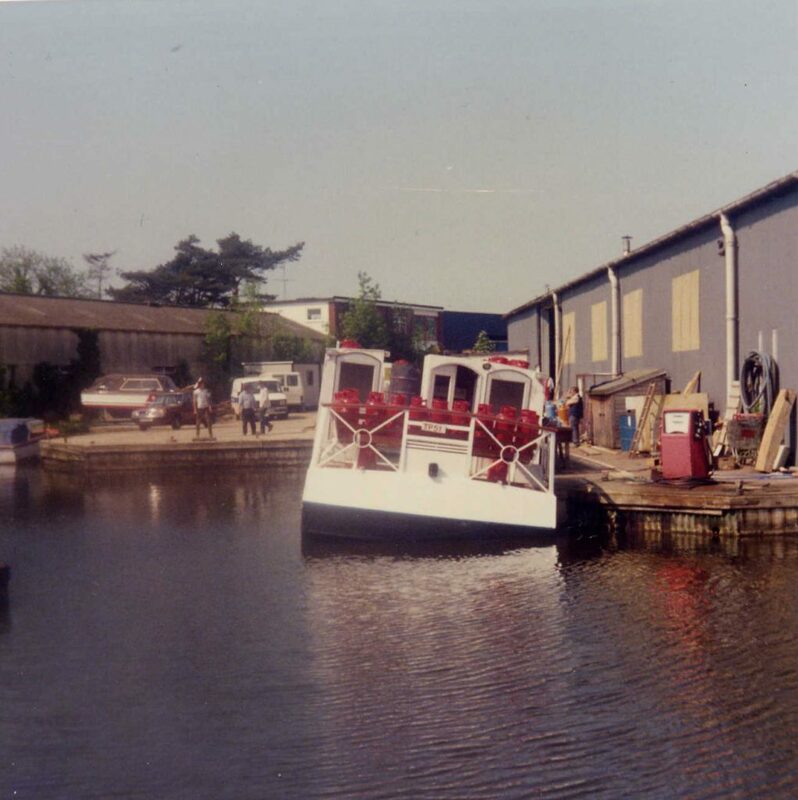 Another of our long serving boat builders, Steve Hayne, remembers building the Vintage Broadsman (and Cordon Rouge a year earlier) as a revolutionary time for Broads Tours. 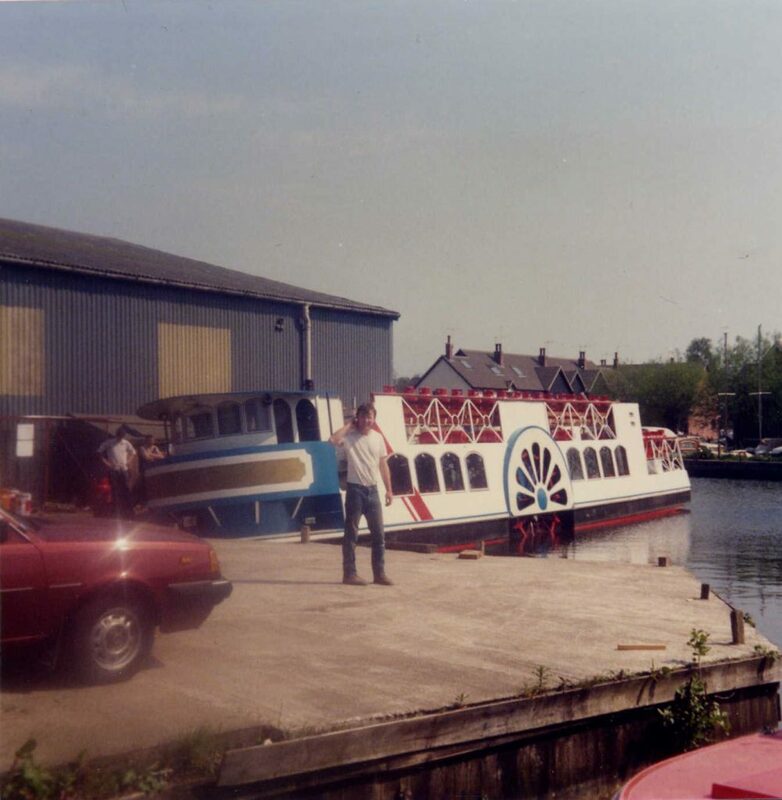 “The double decker trip boats were the biggest boats we had built at Broads Tours and completely different to the traditional single decker boats that we had used for generations before – so it was something special to be involved in,” he said. “For the first time we also had the space to really entertain on a boat so we could host bigger functions and have bands and discos,” Steve added. The Vintage Broadsman’s maiden voyage was on Spring Bank Holiday 1988 and she was an instant hit with passengers and skippers alike. One of our skippers Patrick Wright remembers seeing the Vintage Broadsman for the first time. “I saw the Vintage Broadsman when she was brand new and had a full guided tour from her first skipper” Patrick said. “I really loved her and was offered a job as a relief skipper! Unfortunately, it took a long time to drive to Wroxham from my home in Loddon in those days so I reluctantly declined the job,” he explained. But Patrick eventually took the helm 12 years later, when he was able to reach Wroxham far more easily due to a new road being built. 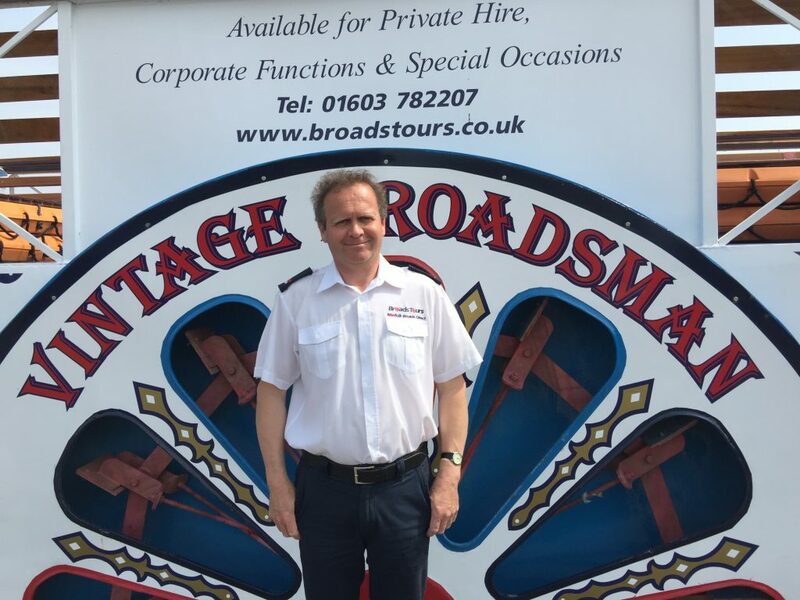 “In the year 2000 I joined Broads Tours as a relief skipper for the Vintage Broadsman. My first solo trip on her was at night and I returned to Wroxham at 11pm in the dark. Not being familiar with Wroxham at the time, I turned into the wrong dyke at the end of the trip and had to reverse back on to the river!” Fortunately, the rest of Patrick’s trips have been much more successful and he has loved driving her over many years.